I’ve got a bad case of the want-to’s. I pretty much always have a bad case of the want-to’s, but now that my show season is over my schedule just seems so… open. After a year like this one, where it’s felt like I’ve been gone more often than I’ve been home, it’s strange and oddly deflating to have nothing to do. I feel a little aimless, especially with the rain wreaking havoc on my ability to actually ride my horse on a regular basis. It was nice to have a break for a couple weeks, but then I got that old familiar itch. I’m not the only one that gets the itch, right? 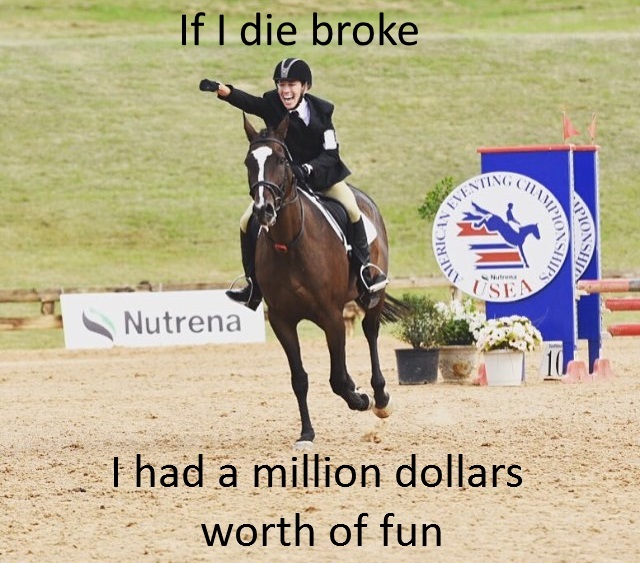 I keep seeing things pop up here and there for a jumper show, a dressage show, a combined test, a schooling HT, a clinic, open schooling days, etc. Every single thing that pops up elicits a “Ooooh I wanna do that!” response from me. Doesn’t really matter what it is, I just want to do it. Henry is probably really glad I don’t have a truck yet or who knows where he’d be right now. I pretty much resisted everything (or just plain couldn’t make it work) until the Hawley Bennett clinic popped up. I’m already signed up for a Buck Davidson clinic in December, which I’m super ridiculously excited about. I usually don’t do clinics though… hard to justify the money when you’re perpetually on a tight budget. However, I think that some of my “show” budget should really be allocated towards the “education” budget if I have any semi-realistic notions of moving up in the near future, so I’m gonna skip the little schooling shows I had planned for the next two months and opt for this instead. And in my defense, the Hawley clinic is super reasonably priced – too reasonable to pass up, really. And with that, it appears that the off season has now become clinic season. Somebody bring Jimmy Wofford somewhere close-by and let’s make it a trifecta. So fun! Looking forward to the recap posts! Yaaassss! I know you will tell us all about the clinics too! Take a hella notes for those of us living vicariously! #Sorrynotsorry oh yeah, and enjoy too. Love Hawley, she understands bling. I like that “she understands bling” is a totally legitimate reason to like someone. So totally jealous. You would think here in Florida clinics this time of the year would be easy to find, but I never hear of any. Did a clinic with Hawley and she is lovely! Had some great things for us to work on! I have heard good things, and am encouraged by the fact that she has/had so many Thoroughbreds. It helps when the person teaching you understands the type of horse you’re on. Exactly! She’s one o my idols, so I was SO excited to ride with her and she definitely knows her stuff! 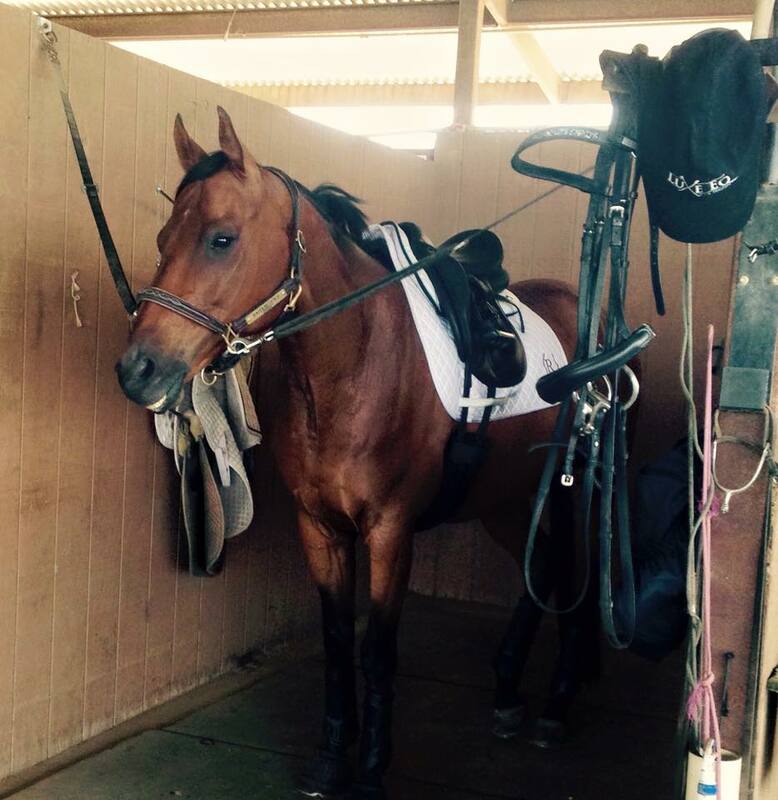 If you ride a TB and the clinician doesn’t get them, it just makes life bad. Been. There. Sounds like a perfectly good plan to me! You guys will have a blast and learn so much! I got to see Jim Wofford 2 weeks ago at a horse expo up in Canada! He was amazing. He did a gymnastic lesson and it was so educational for me! I hope he comes back next year, I want to try to ride with him! I have his gymnastic book and really like it. Have always been a fan of Jimmy. Hawley’s clinic at our barn was BADASS, you will have a great time! I’m hoping to ride with her in February. I cliniced with Jimmy about 10 years ago. CTEA brought him to the SA area! It’s right up there with one of my most favorite eventing memories! He was UH-MAY-ZING!! With no truck or trailer, I’m stuck. But oh, the places we would go…!